It’s all about getting the right stuff to the right place at the right time. Optimize your connectivity between your customers, your sales, their media files and your systems. GoMediaHub is the first and only complete Pre-Media management and production system. By blending desktop plugin technologies for designers that operate and update over the cloud, automated media processing systems, and easy to use submission forms for users of the system all over the cloud, GoMediaHub is a one of a kind software system to ensure you get good, clean and correct media files to everyone on time. and ensures their timely completion and delivery. and skilled operators located anywhere in the world. for publishers, ad agencies and corporate marcom. Built-in mechanisms for easy integration with external systems using dedicated API interfaces, Hot Folders, command line driven or dedicated interfaces providing a high level of interoperability with 3rd party tools and applications. 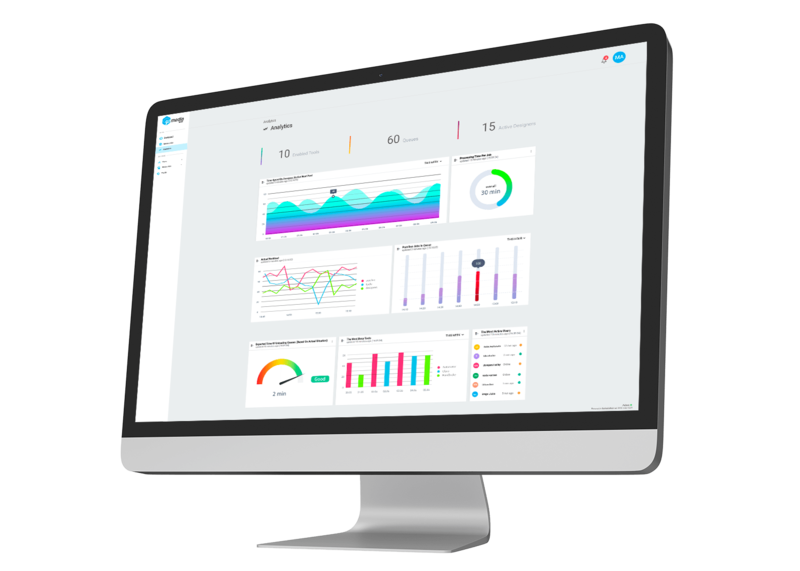 Built-in advanced search and filter mechanisms across all parts of the system with real-time dashboard business metrics by user group. Highly flexible configuration possibilities taking into account the specific needs of each user group. Roles, permissions, scopes, groups and organizational containers providing unlimited options of workflow configurations. Customizable system of alerts and notifications. Deadline and status reporting, error messages and notifications. Modern authorization and authentication system based on security token exchanging services. Advanced groups, roles and permissions system controlling all levels of application. Full support for advanced identity management systems (ex: Okta), with the ability to handle user merging across multiple identity provider systems. Highly customizable GetNext logic with advanced control of the flow of files for automated and manual processes. Job routing, prioritization, filters and dynamic forms generation for dedicated user experiences. Automated retrieval, processing and delivery ensures full round trip tracking and management. Automated and customizable mechanism for providing remote updates for all parts of the system and interfaces - including desktop clients. Using our dedicated, Update Server to provide controlled updates for all designer desktops, located anywhere in the world. High level of interface personalization using different built-in themes and settings. Multi-language support. Advanced branding options for custom interfaces across different user groups. High level of efficiency and security by using separate, dedicated DAM instances for all tenants in a SaaS model. Like many operations, you might have smaller focused editorial teams to leverage their focus on local news and content. However, they all need the best quality images, logos and advertisements they can get for their pages without distracting their attention from the task you need them doing; producing effective editorial content. GoMediaHub permits you to use automated systems and your best Pre-Media operators in your organization and manage their time by automatically routing, queueing, and delivering the media files to and from all your systems and locations. All on a very secure cloud based network, not requiring any VPN tunnels or complex network configurations. GoMediaHub provides the analysis and fixing engines to ensure that good, clean ads are getting onto your pages and website. Whether your files need custom attention such as knockouts (crop out background), retouching, re-sizing, cropping, or specialty work, GoMediaHub provides the connectivity to your ad tracking,asset management or other systems to achieve this. GoMediaHub will retrieve, route, process, notify and deliver your advertisements across all your publications and systems. Worried about scale? GoMediaHub is already proven to handle 15,000 media files per day in production. The biggest problem with the multitude of files produced from outside sources are poorly prepared ads and poor quality images on many customer supplied pages. Give your customers the tools to help them fix it up front, by providing them the Pre-Media services they seek. Your customers would much rather build pages with properly toned images and ads that don’t present problems for page processing. Provide your customers both a browser based submission and retrieval system and a hot folder mechanism located on their own network. GoMediaHub system can handle all automated and manual tasks to be performed. Provide your customer with a real-time Dashboard of the status of their files and a means to track all stages of their files. GoMediaHub can also provide page submission, processing, softproofing and approval capabilities to any print production workflow you might have. So now, instead of getting in poor quality files, help your customers build higher quality content and provide a seamless cloud based system for helping them with their ads, images, logos and also their page submission.